Which is your favourite cake to have with afternoon tea? Hi all….the snow here today is making me think of comfort food and clearly there is nothing better than a great big slice of cake and a cup of tea. 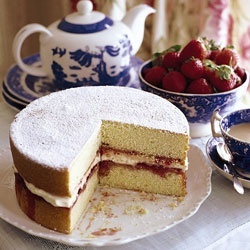 What is your favourite cake to accompany afternoon tea? Close call for me but it probably has to be the classic victoria sponge.